If your cat is always hungry and gobbles food down quickly and looks for more, s/he could have a condition called polyphagia, excessive eating. Polyphagia is usually a result of an underlying condition. Does your cat exhibit behaviors such as vomiting after downing a meal quickly, eating anything offered (even food s/he has refused previously), always looking for more food, counter-surfing, begging or stealing food wherever it can be found and generally appearing constantly hungry? Most cats display some of these behaviors at one time or another, but when they become excessive, there is a problem. The problem will not be solved by offering more food or ignoring your cat’s demands. 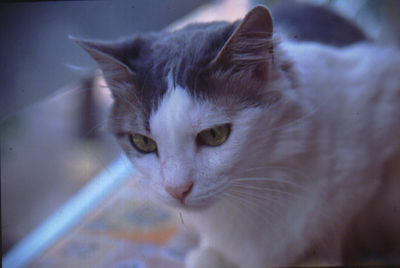 There are diseases that cause exessive hunger in cats. Hyperthyroidism is an overactive thyroid. A higher release of thyroid hormones increases metabolism. Diabetes Mellitis occurs when too much or too little insulin is released by the pancreas. Exocrine Pancreatic Insufficiency (EPI), a decrease of lack of digestive enzymes produced by the pancreas. IBD (Inflammatory Bowel Disease) – Inflammation of the digestive tract. Acromegaly – Increased production of growth hormone caused by a slow-growing tumor of the pituitary glands. Signs of acromegaly can be an abnormal body size, broad face, protruding lower jaw, larger spaces between teeth, large feet poor coat condition. Other causes of increased appetite can be Cushing’s Disease, infections, internal parasites, liver disease, some medications. If your cat is a fussy eater or eats normally and suddenly becomes obsessed with food, it’s time for a veterinary examination. Your cat may show other symptoms such as diarrhea, vomiting often, excessive thirst and urination, weight loss, hyperactivity, increased vocalization. 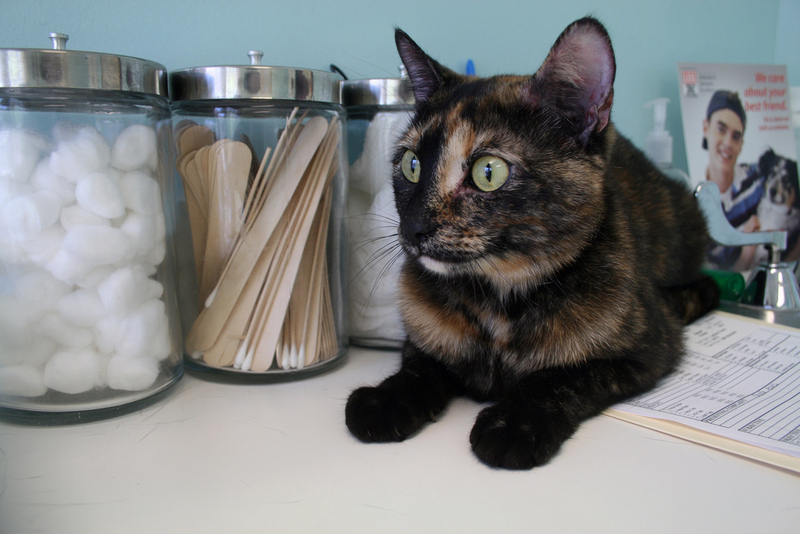 If there are any changes in your cat, whether physical or behavioral, a vet visit is in order to determine the cause.